We offer a complete range of repair services covering all of your challenge course needs. 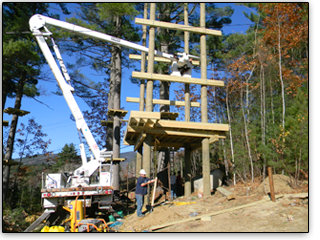 We offer a full range of challenge course design installation and expansion services. whether you have a course and need to expand it or want to open the door to the exiting world of experiential learning we can help. please contact us to schedule a detailed site evaluation and quote. Because we only use top quality building material from reputable companies, we stand behind our material and workmanship 100%.